Have you seen rainbow after the rain? The sky presents a rainbow. They are arranged in order. Because rainbow symbols hope, bright and beauty. It has some implications that do not experience wind and rain, how see rainbow? 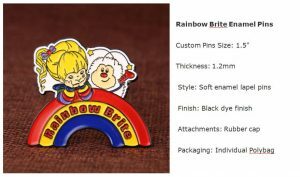 So many people start to use the element of rainbow in custom products like custom medals. Some countries prepare rainbow festival to attract people. 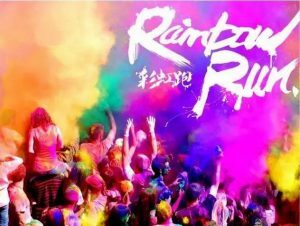 In China, On the one hand, rainbow festival is a running competition. People will wear white cloth. When they finish running, they will jump into the rainbow pond. Then, their white cloth and black hair will become colorful. Finally, they will be awarded rainbow medals. On the other hand, rainbow festival could be a music festival. Some folk singer get together and show their music. They sing just for a dream. Of course, in other fields, rainbow festival also appears, especially for children. In Japan, Netherlands and other countries. Rainbow festival is the festival of homosexual. 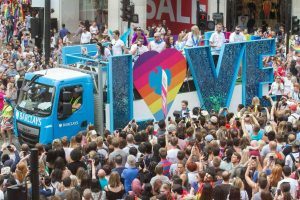 The gay come to together and show their love to the people. They won’t be scared of strange eyes. They enjoy the process. Because lots of people around them are the same. In America, except for gay, there are rainbow festival for animals. 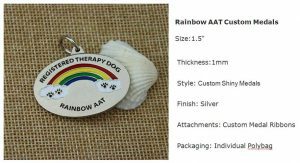 Rainbow Animal Assisted Therapy is a volunteer organization devoted to using the capabilities and magic of dogs in therapeutic environments, especially with children. That’s to say, they help children to distract attention from disease. 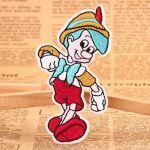 Nowadays, rainbow elements are used in many personalized products like custom medals, custom lapel pins, custom patches and so on. Even if in hair accessory, or custom cloth, custom bags, etc, it will be seen. GS-JJ, as a professional custom manufacture, is capable of using rainbow to design custom medals. These custom made medals or custom lapel pins are very popular. Our good designers start to use rainbow element to design more delicate products. 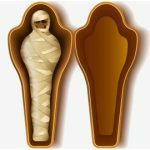 If you are interested in, click here : https://www.gs-jj.com/medals/Custom-Medals .